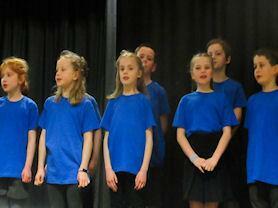 The children in Year 4 took part in the Vale Choral Festival which was held at Belvoir High School. They had been practising their songs in the weeks leading up to the event with a specialist music teacher, and then joined other primary schools from the Vale of Belvoir to perform at the Festival. The children performed brilliantly on the night in front of proud staff and parents.